to Dr. Fred S. Maron’s dental website, where you as new, returning, or potential patients can learn about our office. We are a comprehensive general family dentistry practice focused on quality preventive care. 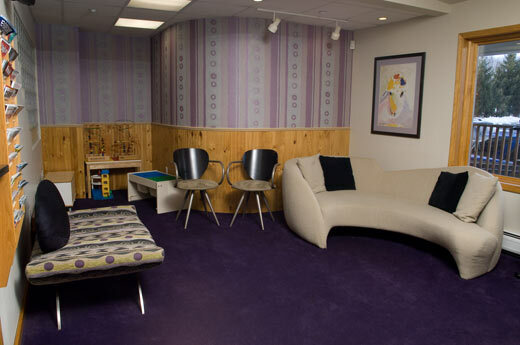 Our office treats adults and children of all ages and is conveniently located at the junction of routes 44 and 55 in the town of Poughkeepsie, in Dutchess County, in the beautiful Hudson Valley of New York State. We provide all aspects of dental care to improve your dental health and restore your smile. Our services include routine dental exams and cleanings, white plastic fillings, sealants, root canal therapy, implants, bridges, dentures, gum disease therapy, and TMJ therapy. We offer cosmetic dentistry, including tooth whitening, porcelain veneers, and crowns, and we also do Invisalign® orthodontics and sleep apnea appliances. Our emphasis is on preventing cavities, abscesses, and gum disease so that you are comfortable, avoid complicated treatment, and save money. We encourage hygiene visits 3-4 times a year as your most important defense against dental problems. Our modern dental office is equipped with the latest technology to make your visit comfortable and safe and to provide accurate diagnoses and informed choices. 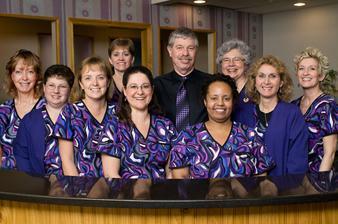 Our dental staff members are like family. Most of them have been with us for decades. The administrative team is familiar with your insurance plans, and the entire staff is knowledgeable about the procedures performed in this office. Our office is dedicated to excellent clinical care and patient service as well as to our passion for dentistry. Patients trust and respect Dr. Maron. He loves what he does and does it well. We believe in building lasting relationships with our patients, and they continue to refer friends and colleagues to us. Hopefully, if you need dental care, you will come to our office and then refer your friends and family, too. Hudson Valley Magazine has recognized Dr. Maron as a "Top Dentist" in its November 2015-2018 issues. Dr. Maron is an experienced provider of Invisalign® orthodontics for adults and adolescents and an AADSM "Qualified Dentist" for oral appliances for sleep apnea. Call our office today to schedule a free consult.